The first 3D smartphone in the Philippines, MyPhone is really bringing the mobile competition in the Philippines to its peak, while other local brands focusing on processor speed, MyPhone A919 3D Duo is focused on entertainment and 3D picture quality. 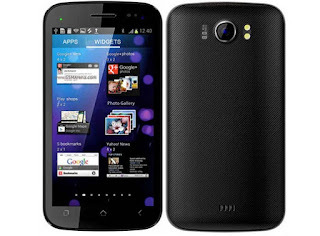 Although my post is quite late, MyPhone A919 3D Duo is one of the smartphones I want share to everyone, I mean sharing news, specs, and reviews only :P.
Powered by 1Ghz Dual Core processor and running on Android 4.1.2 Jelly Bean, so software compatibility issues are not of a problem. 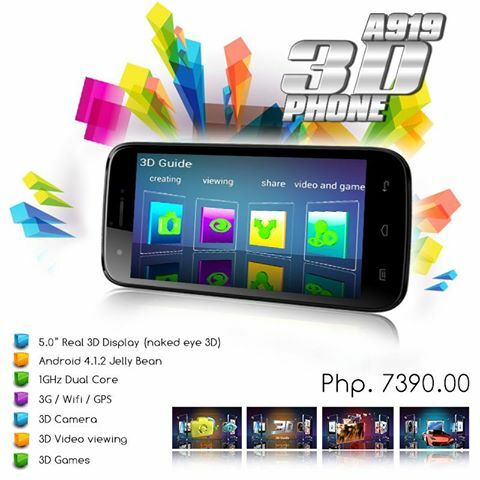 MyPhone A919 3D Duo is featured with real 3D camera, real 3D video viewing, real 3D GAMES! More specification below. 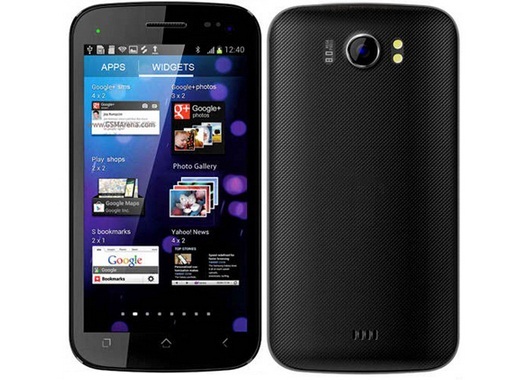 As you can see MyPhone A919 3D Duo has been compared to various devices including ASUS Transformer Prime, Samsung Galaxy Nexus, Samsung Galaxy S2, and other devices specified in the picture. MyPhone A919 3D Duo is named "Your Device" which you can see it is second to the last in overall PassMark Comparison, Disk Mark Comparison, and CPU Mark Comparison, and finally top at Memory Mark Comparison. Judging from its various test we can say that MyPhone A919 3D Duo is truly hardware wise. 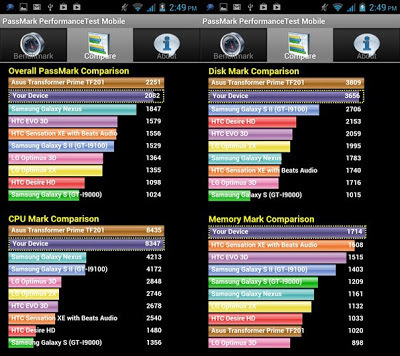 There is still one more test that MyPhone A919 3D Duo is at top, and that is the Price. The only problem I can see for MyPhone A919 3D Duo is the RAM and processor, I mean playing 3D Games requires strong processing power. Maybe it is meant to play casual 3D games but not full HD games, meanwhile watching movies and video clips is awesome. Php7,390 | Available in the Philippines Nationwide.